IIT Madras has slipped from 45th to 49th position in the QS world university rankings. NEW DELHI: Asian universities have gained significant ground at the expense of their Western counterparts, but Indian varsities are not part of the success saga. Data from the latest edition of the "Quacquarelli Symonds university rankings: Asia" reveal that there are 17% more Asian universities in the top 200 of the world university ranking but nine of the top 10 Indian institutions have slipped in their rankings since last year. 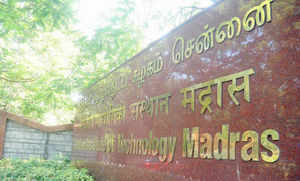 So the Indian Institutes of Technology (IIT) Delhi has dropped from 36th rank in 2012 to 38 this year; IIT Bombay has come down to 34 to 39, IIT Madras ranks 49 — down four places from 45 — and IIT Kanpur is at 51 from 47. IIT Kharagpur has dropped by two places to 58, and IIT Rourkee by one notch to 66, respectively. "The reasons for the declining performance of Indian institutions are a decrease in academic reputation, alongside longstanding issues such as high student/faculty ratios and lack of international engagement," QS head of research Ben Sowter said. "While several of the IITs now produce a lot of research, low citation rates suggest it is having a limited impact in global academia," Sowter added. QS world university rankings is one of the respected annual league table for the top 700 universities in the world with the merit list based on research, teaching, employability and internationalization. The QS World University Rankings is widely referenced by prospective and current students, university professionals and governments worldwide. However, these rankings have been disputed by the Indian government. In comparison to a total of 11 Indian universities that have made it to the top 300 of the world university rankings, there are 71 from Japan, China (68) and Korea (53). "Asian higher education is undergoing a rapid transformation, and Singapore, Hong Kong, China and Korea are at the forefront of the assault on the global academic elite," said Sowter. "As Western governments struggle to maintain funding levels, Asian institutions have rapidly increased their ability to attract the world's best faculty and students," he added. "As the cost of studying rises in North America and the UK, Asia is reversing the brain drain by investing in scholarships to attract top students from the West," Sowter explained. The rankings provide less encouraging news for Japan, which sees its top institution, University of Tokyo slip to ninth, its lowest ever position. Of the leading 10 Japanese universities, only one ranks higher than last year, while six rank lower.